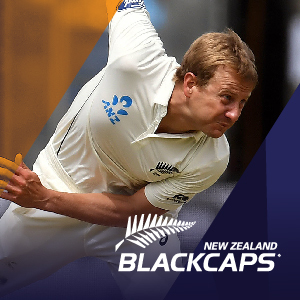 Welcome to BLACKCAPS Travel & Hospitality, official partner of New Zealand Cricket. Here you will find a selection of official travel and hospitality offers for BLACKCAPS matches, both in New Zealand and around the world. The BLACKCAPS have been a very successful cricketing team over the past few years. From reaching the 2015 Cricket World Cup final to series victories across multiple events, various teams and at home as well as overseas, the BLACKCAPS rank strongly across all formats of the game.ICC Rankings currently have New Zealand at number two in the world in test cricket, number three in the One Day format and number six in T20. Kane Williamson, Henry Nicholls, Ross Taylor and Colin Munro all sit in the top five batsmen in the world across the various formats, while Trent Boult and Tim Southee appear in the top ten test bowlers. This is an outstanding achievement and reflects the significant results of the BLACKCAPS over the past 18 months. Hot on the heels of a very successful 2018/2019 summer of cricket is the Cricket World Cup being hosted in England in July. All eyes will be on how the BLACKCAPS can once again compete on the world stage against some very good ODI teams. With a huge upcoming 2019/2020 summer of cricket at home against the touring sides of England, India and Australia (November 2019 through to March 2020) the BLACKCAPS undertake an historic tour of Australia – the highlight being the Domain Boxing Day Test Match against Australia at the famous MCG. New Zealand have not played a Boxing Day test match at the MCG for 32 years. It will be a hugely popular event and BLACKCAPS Travel, in association with Experience Group, are proud to be an Official Travel Partner to Cricket Australia for this match. Match tickets, accommodation and access to the official BLACKCAPS Travel Lounge are outlined below. Contact us now to secure your place at this historic cricketing event.